How can I track the work that I've done in JuanTax? 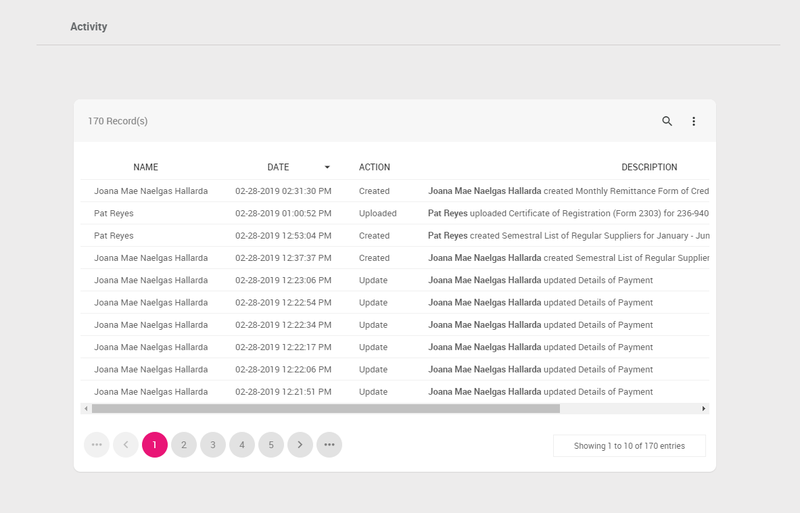 View a summary of all actions performed by users in your organization. This serves as your audit trail for all activities made within your organization. Only users with Administrator role can access this setting in JuanTax. To view your activity listing, go to Settings, then proceed to the Activity tab. You can easily search through any specific activities by clicking the magnifying glass icon. You can also sort the list based on the number of activities that you wanted to see on the screen. If you want to show 10 listings per page, 25, 50, 100 or All listings.